In this section we have grouped together all of our British themed ribbons, including Union Jack Flags, Made In Britain Logo, Everything Stops For Tea Slogan to mention just a few of our British ribbons. 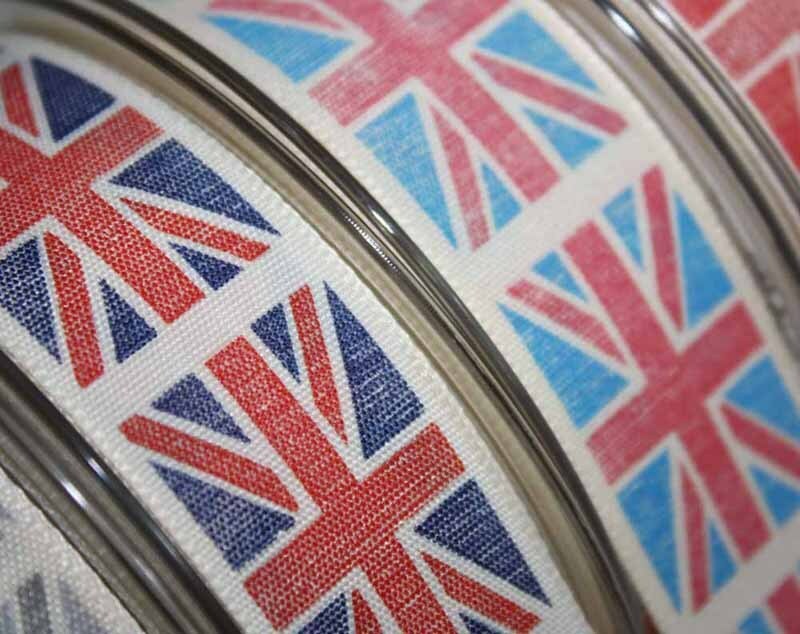 All of our British print ribbons are manufactured in the United Kingdom by Berisfords Ribbons. To help you to find the exact ribbon that you are looking for, we recommend using the filters at the top of the page. These filters enable you to select the exact width, colour, pattern or material that you are looking for. If you have any problems or need any further information then please feel free to contact us at anytime on 01691 780416. 15mm x 4m Soldiers In A Line - NEW! 15mm x 4m Best Of British - NEW! Best Of British 15mm x 20m - NEW!